How To Wear A Saree To Look Slim And Tall - Tips and Tricks! Fashion Trends 6 Easy Tips To Look Slim In A Saree!! It is said that Saree is a universally flattering outfit. But it totally depends on how you are wearing it!! You need to follow certain tips and tricks if you want to look slim in a saree. It is, after all, a five-meter-long fabric and has full potential to make you look bulky too. A saree will look elegant and beautiful on you only when you choose the right saree and wear it in the correct way. While a saree may look perfect on the mannequin it may not so on you. Why? because not all ladies are blessed with that perfect figure and not all of us have the time to go to a gym to keep our bodies perfect like celebrities. What you can do is follow some simple steps while wearing a saree. These steps help in hiding your problem areas and highlight the best features. 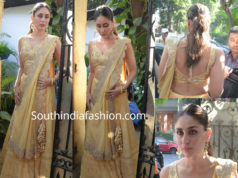 You can wear a saree to look slim and hot irrespective of your size if you are draping it in a correct manner. Now it depends greatly on your body type because saree draping for pear shaped body varies from an hourglass body. For example, Vidya Balan and Sonakshi Sinha have a curvy body type hence an open palla suits them better. Try tying your saree as tightly as possible and spread the pleats so that they don’t bulk up at one place. The fabric of the saree is a very important factor. If you choose lightweight fabrics, they will automatically give you a slimmer look. A light fabric will not add bulk to your body and will instead wrap around your body while adapting to its shape. Hence sarees in chiffon or georgette fabric will give you a slimmer look instead of silk, tissue or brocades. Choosing the right blouse design is as important as the saree. Make sure you wear a well-fitted blouse that is neither too tight nor too loose. Also, if your problem area is your tummy then it is better to wear a longer blouse. Now the most important point is how to choose the right saree blouse designs for fat arms. In case you do not have toned arms, then avoid going for a sleeveless blouse, halter neck, puff sleeve or cap sleeves. The best choice is to go for blouses with longer sleeves either elbow length or full-sleeves. 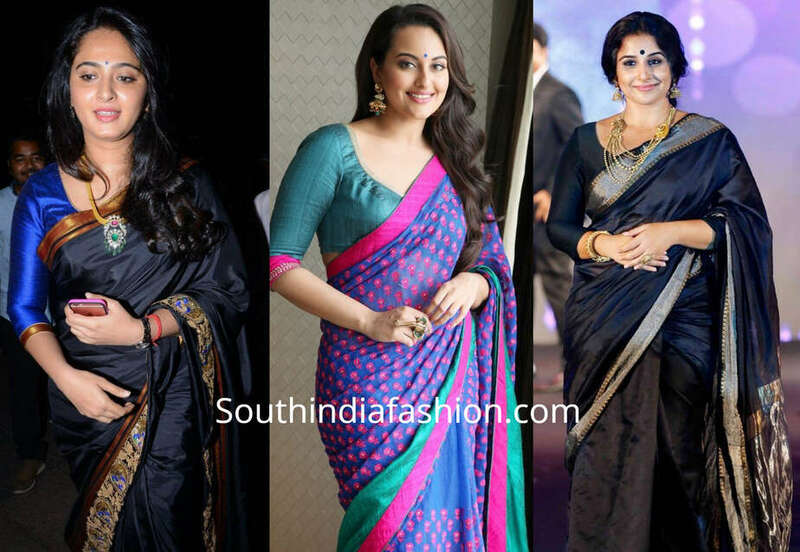 Darker sarees give you a slimmer look than pastel or light colored sarees. 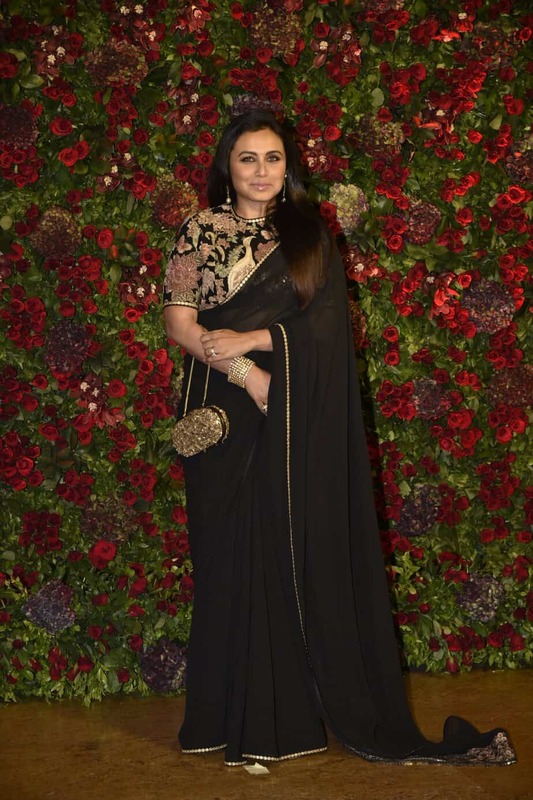 This is the reason you can never go wrong with a black saree. 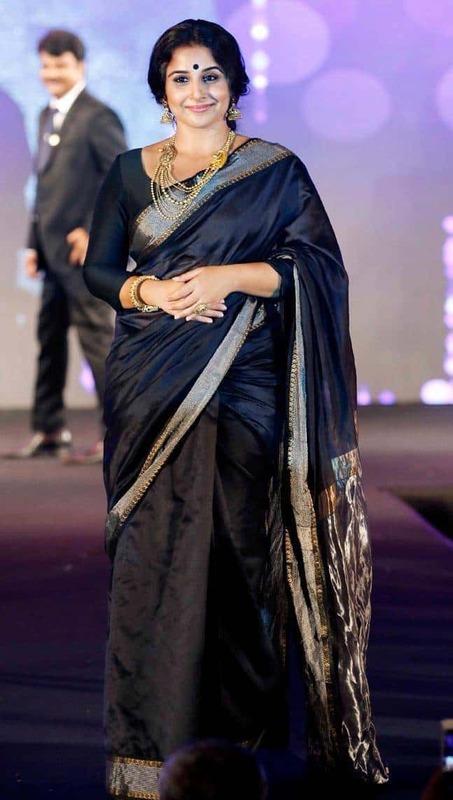 In fact, if you are too thin, even then black or a darker saree will give you a better look. 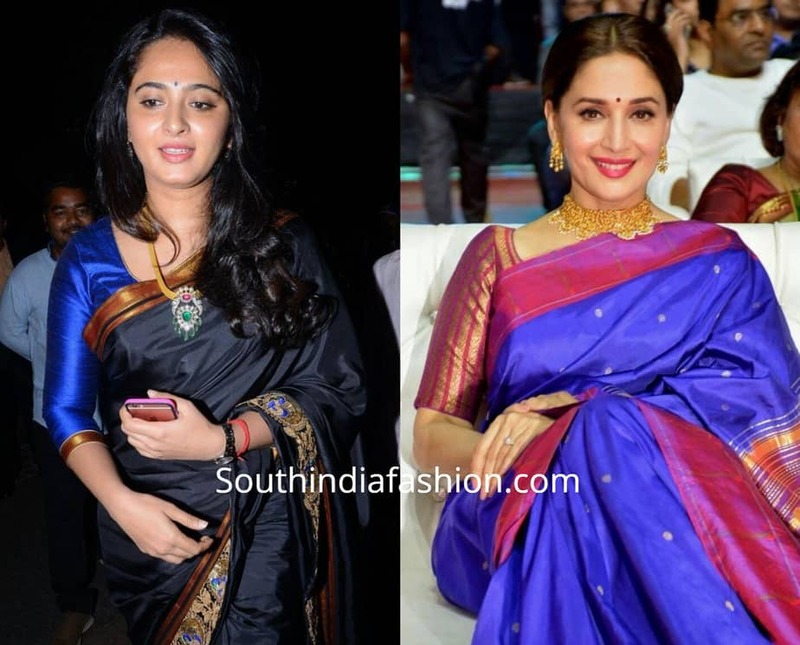 If you are going for a printed saree, the shape, size & placement of those prints also matter. 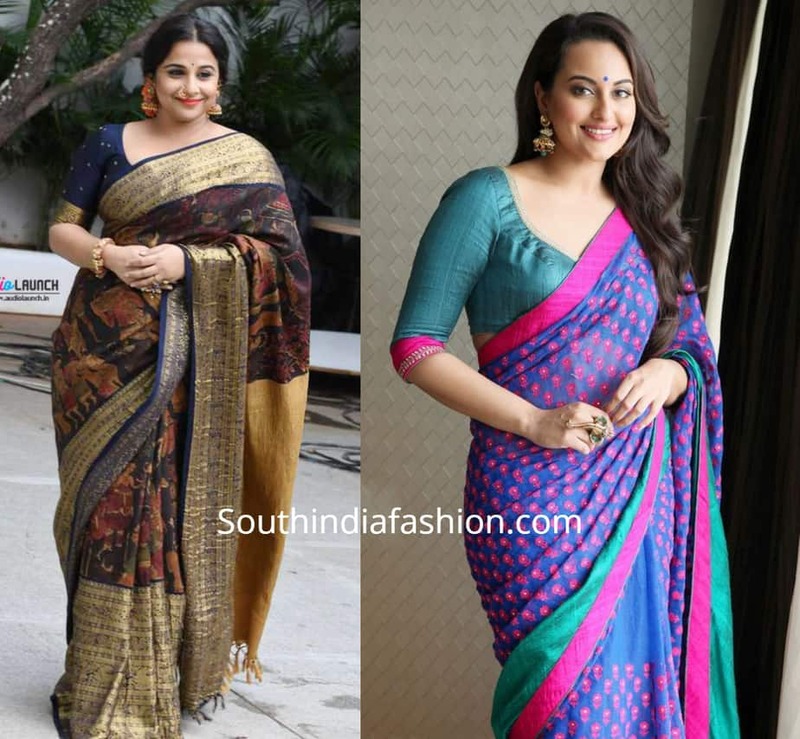 If you are plus size, then go for a saree with smaller prints. Even when opting for bigger prints, make sure they are lesser in number and placed away from one another evenly distributed on the saree. A saree with broad/thick borders tends to add bulk to your body. 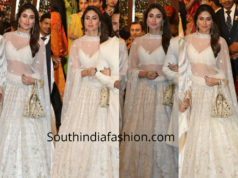 That is why it is better to go for a saree with sleek borders as it will help diminish your volume in case you are not slim. Also, thin borders are easier to manage and flow with the body. Make sure to tie your saree as tightly as you can. Tuck in the pleats very carefully so they do not bunch up at your tummy. Try to distribute the pleats at a distance from each other. If you can, try to minimize the number of pleats if you are heavy bottomed or have a pear-shaped body. Avoid pleating the palla and leave it open instead.